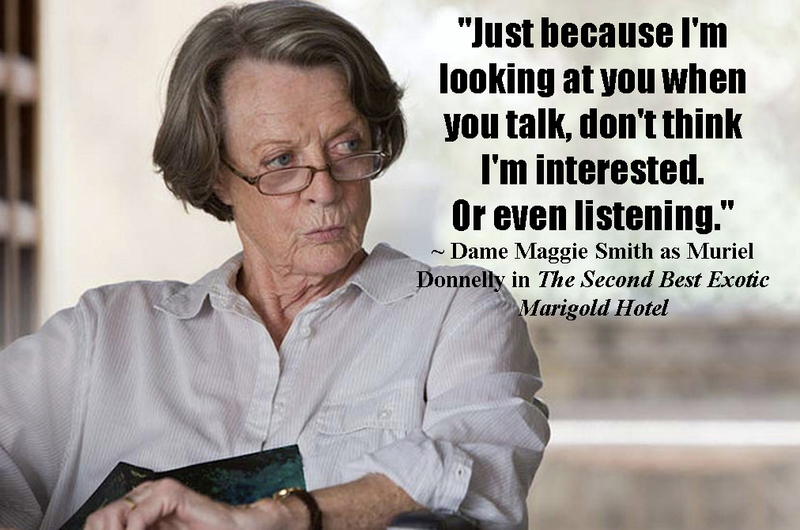 Whether Dame Maggie Smith is playing Muriel Donnelly in The Best Exotic Marigold Hotel movies (one and two) or Violet Crawley, The Dowager Countess of Grantham on Downton Abbey, she still has - and delivers - the best lines on screen. Cuts like a diamond. Not sure Miss Smith has ever been in a bad movie. She elevates them. Haven't seen the "Marigold" movies; preview for the most recent looked charming.